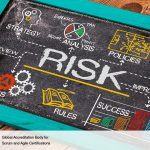 The non-core roles can be described as those roles that are not mandatorily required for the Scrum project and that may not be continuously or directly involved in the Scrum process. However, knowing non-core roles is important as they can play a significant part in Scrum projects. Stakeholder(s) is a collective term that includes customers, users, and sponsors, who frequently interface with the Product Owner, Scrum Master, and Scrum Team to provide them with inputs and to facilitate creation of the project’s product, service, or other result. Stakeholder(s) influence the project throughout the project’s development. Stakeholders may also have a role to play during Develop Epic(s), Create Prioritized Product Backlog, Conduct Release Planning, Retrospect Sprint, and other important processes in Scrum. The customer is the individual or the organization that acquires the project’s product, service, or other result. For any organization, depending on the project, there can be both internal customers (i.e., within the same organization), or external customers (i.e., outside of the organization). Users are the individuals or the organization that directly uses the project’s product, service, or other result. Like customers, for any organization, there can be both internal and external users. Also, in some industries customers and users may be the same. The sponsor is the individual or the organization that provides resources and support for the project. The sponsor is also the stakeholder to whom everyone is accountable in the end. Vendors include external individuals or organizations that provide products and services that are not within the core competencies of the project organization. At times, the same person or organization can play multiple stakeholder roles; for example, the sponsor and the customer may be the same. The Scrum Guidance Body is an optional role. It generally consists of a group of documents or a group of experts who are typically involved with defining objectives related to quality, government regulations, security, and other key organizational parameters. These objectives guide the work carried out by the Product Owner, Scrum Master, and Scrum Team. 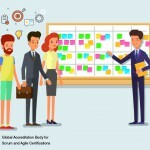 The Scrum Guidance Body also helps capture the best practices that should be used across all Scrum projects in the organization. 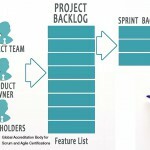 The Scrum Guidance Body does not make decisions related to the project. Instead it acts as a consulting or guidance structure for all the hierarchy levels in the project organization—the portfolio, program, and project. Scrum Teams have the option of asking the Scrum Guidance Body for advice as required. 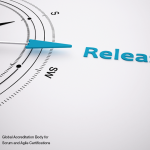 Can you skip Release Planning in Scrum?